Althea is an NHS Associate Specialist in Menopause Care, was a Principal Trainer in Menopause Care for the Faculty of Sexual and Reproductive Health Care - and has been working in Menopause/PMS clinics for the last 20 years. She has always been interested in running groups for women in the community and trained as a Community Tutor 30 years ago. She is also trained in Group work and enjoyed an Introductory year in Art Therapy. She has run multicultural women’s groups in inner city areas of London and Sheffield, including ten years on the Sheffield Community Women’s Health Bus, and also in rural Derbyshire. She trained and worked as a freelance photographer alongside her medical career and has used her portraits of women to trigger discussions about health and well-being for many years. The starting point for this toolkit was her “Rollercoasting through the Menopause years” photo exhibition - part of which is used in Session 1. 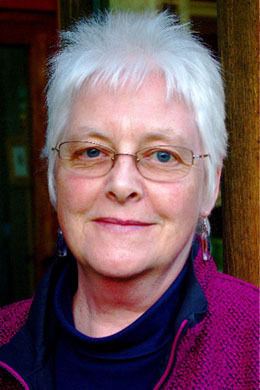 She has also been running residential weekends “Rhythms and thresholds in a woman’s life” at Holy Rood House Retreat, Thirsk, for the last five years, looking at the effects of the menopause years on women’s lives - and helping women to find fun, meaning and fulfillment in their lives after menopause. Evaluation by colleagues, patients, friends, family and self-help groups has helped to shape the final format of this group resource.